Hello! A Mo Salah striking lookalike!! 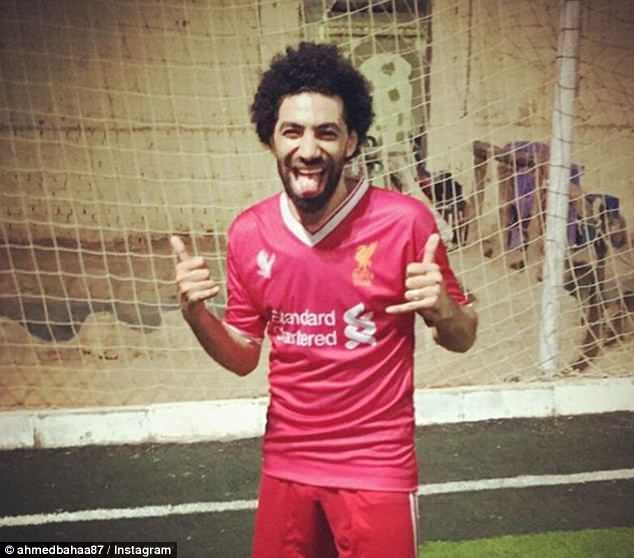 Bahaa has regularly been seen on Egyptian television posing in both the Egyptian national and Liverpool shirts baring Salah’s name. In videos of him roaming the streets, plenty of people believe they are meeting the man himself, and with good reason. 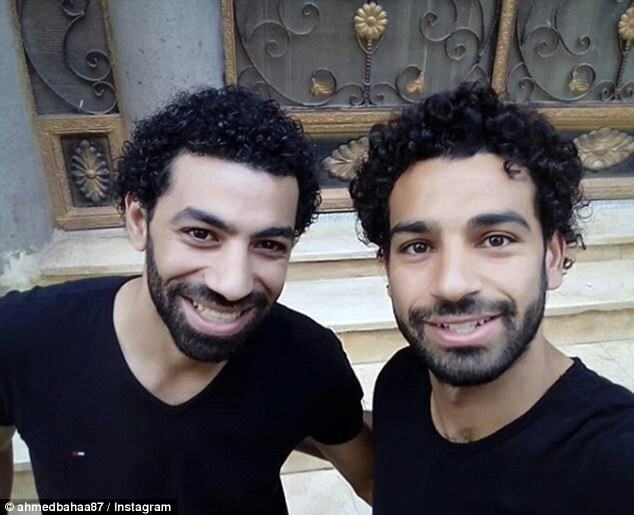 Driving home just how similar the pair actually look, Salah met his lookalike back in 2016, when he was still a household name in Egypt but had not yet unleashed his incredible talents on English football. After failing to originally impress with Chelsea, Salah returned to English football last summer when Liverpool committed £39million to sign him from Roma and has since scored a record-equalling 31 goals in the Premier League alone. His exploits have since seen him claim the PFA and FWA Player of the Year awards while he has also dragged Liverpool into the Champions League final, where he can take his career to a new level by beating current holders Real Madrid on May 26. 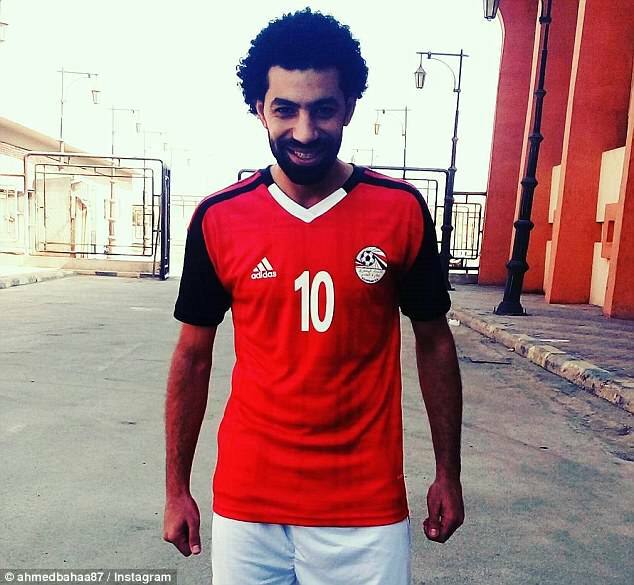 But it will be the World Cup where he can take his cult status to new heights within Egypt. He already sparked pandemonium by scoring the decisive goal to secure qualification last year and has a chance to break new ground in Russia. Egypt have never won a game at the World Cup finals but have a significant chance to progress into the knockout rounds after being drawn alongside hosts Russia and Saudi Arabia, who together make up the two lowest-ranked sides in the contest. and Uruguay in Group A.